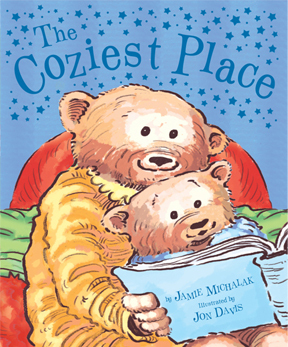 A sweet book that shares the love of family and home can be found in The Coziest Place by Jaime Michalak. Wintertime is fun. Then afterwards with cold toes and rosy noses, the bear family snuggles into their cozy home where they enjoy hot grilled cheese, hot cocoa, reading time, warm clothes, and special treats before slipping into their cozy beds for the night. What an adorable story. Michalak’s lyrical prose combined with charming artwork by Jon Davis makes this a perfect book to help settle your youngsters down for the night or to enjoy when the weather is raging outside. The Coziest Place truly makes you appreciate all the loveliness of home.